The Union Flag Over Minorca. As mentioned in the previous chapter, the British Government under Prime Minister William Pitt (the younger) recognised the immediate necessity of a safe base of operations within the Mediterranean and the obvious choice was the deep water harbour of Mahón. 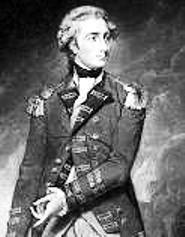 The man chosen to plan and lead the expedition to re-take Minorca was the brilliant Lieutenant-General the Honourable Sir Charles Stuart. the lookouts on the high points of Monte Toro, Santa Agueda and La Mola sighted the sails of some 25 ships approaching for an assumed landing at Fornells. The British fleet was under the command of Commodore John Thomas Duckworth on his 74 gun ship HMS Leviathan and included Captain Henry Digby, Centaur 74 guns; the 44 guns ships of Captain Thomas Markham on Argo and Captain James Bowen on Dolphin; the 28 guns frigate Aurora of Captain Josiah Nisbet; Captain Thomas Caulfield 20 gun ship Cormorant; Captain Lord Mark Robert Kerr on his 16 guns sloop Peterel. Included in the fleet were the armed transport ships Ulysses, Calcutta, Coromandel and the cutter Constitution accompanying several transport ships carrying the troops commanded by General, the Honourable Charles Stuart. Of course General Stuart had been fully briefed and had detailed knowledge of safe places to anchor ships to land troops and equipment, the terrain, and existing road links. After all the British had previously constructed much of the infrastructure, anyway. By time the word had reached Quesada the British were already landing at the old Arabic port of Addaya. The initial British force of 800 men were landed under a supporting barrage from Commander Duckworth’s frigates stationed just outside the cala. Once the beach head was established the main force soon followed ashore. The defending Spanish troops fled towards Mercadal leaving behind about 100 deserters who promptly joined the British ranks and who, on interrogation, told General Stuart that the strength of the defending army was about 4000 men. Quesada set up his headquarters in Mercadal and sent for reinforcements from the small garrison at Ciutadella. By installing a strong defensive line in Mercadal he intended to stop the British advance reaching Cami d’en Kane, along which was the way by which the British could reach both Mahón and Ciutadella. These reinforcements arrived exhausted at midnight after a 6 hour march from Ciutadella and they promptly joined with those already camped by the roadside in Mercadal who were drunk having been issued with too much brandy to keep them warm. Quesadas army was in complete disarray. His problems were compounded when he received a message from the military governor at Ciutadella stating that two British frigates had been offshore during the day and that he supposed that they would soon be landing troops to take that city. With a complete reversal of plans Brigadier Quesada decided to retreat to Ciutadella and at 4.00 AM, with little sleep after their previous march to Mercadal, ordered his troops back to that city as his last bastion of defence. On the morning of the 8th General Stuart sent 600 men ,under the command of Colonel Thomas Graham, from Fornells to engage the enemy at Mercadal. They found that this had been abandoned but managed to capture some late departing soldiers together with their officers. The following day Stuart followed with the rest of the British army which was reinforced by 250 sailors who were charged with dragging the cannons as far as Mercadal. At this time Mahón was in a state of panic as two British frigates and 5 large transport ships were sighted outside the harbour mouth. The commander of the guards at the naval base and arsenal had previously set off with the cannon to Ciutadella to reinforce the troops there on the orders of Quesada. The few forces left in Mahón moved to the ruined fort of San Felipe. On the same day, the 9th, Sir Charles Stuart, having heard of the dire situation in Mahón, sent 350 men of the 28th Regiment under the command of Colonel Edward Paget. He arrived after dark but from the unexpected land end. It is believed that this force arrived by marching along the Alameda (mentioned in the chapter 8) and it was met near the monastery and church of San Francisco by the councillors who presented Colonel Paget with the ceremonial keys of the city. Although prisoners of war the councillors were allowed free movement and to live in their own homes. As it was late Paget waited until the following morning to present an invitation to the military commander to capitulate. This was duly agreed and the Spanish flag was lowered to be replaced once more by the Union Flag of Great Britain. With General Stuart’s force now occupying over half the island, the capital already taken and British ships blockading all of the harbours, Governor Quesada found himself in a precarious positionto say the least. With almost 1000 deserters now having joined the British, his army now numbered only around 2000 men. By midday on the 11th November a large advance party led by Colonel Moncrief were dominating the heights around Ferreries. Colonel Pagett left 150 men in Mahón and with the remaining 200 hastily made his way to join up with him. To make it appear he had a larger force than was in fact the case General Stuart had his forces make up two dense columns approaching towards Ciutadella along the two existing roads. Colonels Moncrief and Pagett marching along the old Royal Road and General Stuart, with the larger force, along Cami den Kane. By the 15th the British force was in a position to threaten the city. Believing his force was well outnumbered Brigadier Quesada abandoned the gun emplacements and defence lines he had had prepared during the previous days and ordered his forces to retire behind the city walls. These were already in a weakened state and would give no real protection in an attack. The inhabitants of Ciutadella on realising their imminent danger began to abandon the town for the countryside and even the Poor Clares, (Nuns of a closed order) with the permission of the Bishop, fled to the estate of Torre del Ram. Realising that they were on a hiding to nothing and to avoid any harm befalling the population if there was to be a bombardment of the town, (although it seems unlikely that Sir Charles Stuart would have resorted to this knowing the character of the man) Bishop Vila together with the City Councillors led by Baron Lluriach presented a petition to Governor Quesada entreating him to surrender. After much hesitation, and on an eventual show of arms the following day by the British, terms of surrender were finally agreed and at 1.00 pm on the 16th the Spanish laid down their weapons and the British took control of Ciutadella. And so the last chapter of the British in Minorca begins and, once more, a feeling of relief swept the Island. However General Stuart had much work to do. Not least to organise replacement of the defence positions the Spanish had destroyed in 1782. Work was started on making a small part of the fort of Sant Felipe suitable for the placing of artillery to defend the harbour entrance and a small unit of men were stationed there. Together with another on the destroyed Sant Filipet Fort at the tip, of what is now, the Lazareto Island. 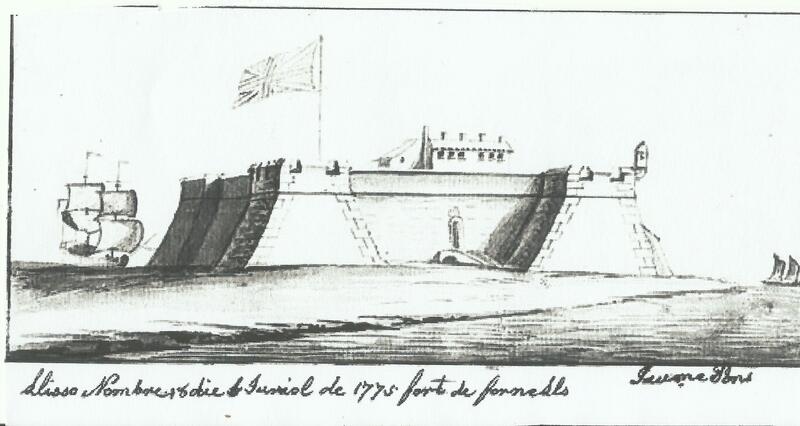 Repairs were also carried out on the partially destroyed Fornells Fort in order to defend the bay of Fornells which would be an ideal landing place in the event of a French or Spanish invasion. Little money was available to finance major engineering works to enhance the defence in the most vulnerable parts of the Island. General Stuart therefore ordered the rapid building of 11 Martello towers. These provided gun platforms for 2 pieces of artillery and accommodation for a platoon of soldiers but also a lookout point from where the troops could signal to each other by semaphore in the case of an enemy ship being spotted out at sea. General Stuart having seen the poor conditions of the population and infrastructure of the island realised that the people were charged exorbitant taxes and were bogged down with increasing debt. This was mainly due to the various councils “universities” bad administration, and fraud. The taxes were unequally levied and in many cases not even collected, Also the ecclesiastics, previously exempt, would have to start paying taxes albeit at a reduced rate and the general land tax he reduced from 8% to 3%. Stuart replaced the incompetent councillors with responsible men and made their results open to scrutiny by the public. Knowing of the past goodwill shown by the British the local population soon started to cooperate with and support the new administration believing, quite rightly, that the relatively prosperous times enjoyed during previous British governance would return. The Royal Navy returned in greater numbers to use the naval base and the harbour as its main base for the Western Mediterranean Squadron. Because of the continuous shortage of food General Stuart issued passes to privateer captains giving them official powers to board and confiscate any ships, especially merchant ships, belonging to a nation that was at war with Great Britain. Within just a few weeks Port Mahón was full of Menorcan privateers bringing in French prize ships carrying oil, wheat and wine and other valuable products. This also encouraged a larger number of foreign ships of friendly nations to use the port facilities. All this resulted in a subsequent increase in trade and, therefore, meaningful employment in maintenance and repairs, loading, unloading etc.etc. However, with the huge increase in population water was becoming a problem a new source of water was necessary and a spring was tapped in Cala Padera, just outside of Georgetown. Stuart decreed that what was left of St. Philips Fort be renamed Fort George in honour of His Majesty King George III. He also ordered that the towns be divided into various districts with a magistrate in charge of law and order for each district and that all the streets should be named and that the houses should be numbered.. Georgetown had always been under the jurisdiction of Mahón but at this same time he made it a separate entity with its own magistrate or as he referred to them “bailey lieutenants”. By this time General Stuart had been made commander in chief of the whole of the British Mediterranean Fleet and he therefore appointed Major General Sir James St. Clair Erskine as hi Lieutenant Governor to carry out his directions. Stuart was continuously suffering ill health brought on by a injury received in a previous battle during his career. In April 1799 he set sail on board HMS Cormorant. His destination was Bath to take the waters and hopefully to ease the pain in his right hand which had become unusable. Back in England he continued to write instructions to Erskine who was industriously having these orders carried out. 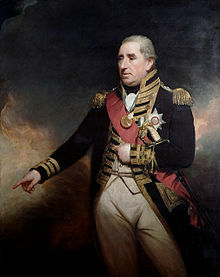 Admiral St Vincent was instructed to give General Stuart Britain's highest honour, the Order of the Bath, but as a very modest man he wanted to refuse such an honour. Sir Charles Stuart died just two years later in Richmond at the age of just 48. He is honoured in Menorca in Es Castell in the street which bears his name, Calle Stuart. 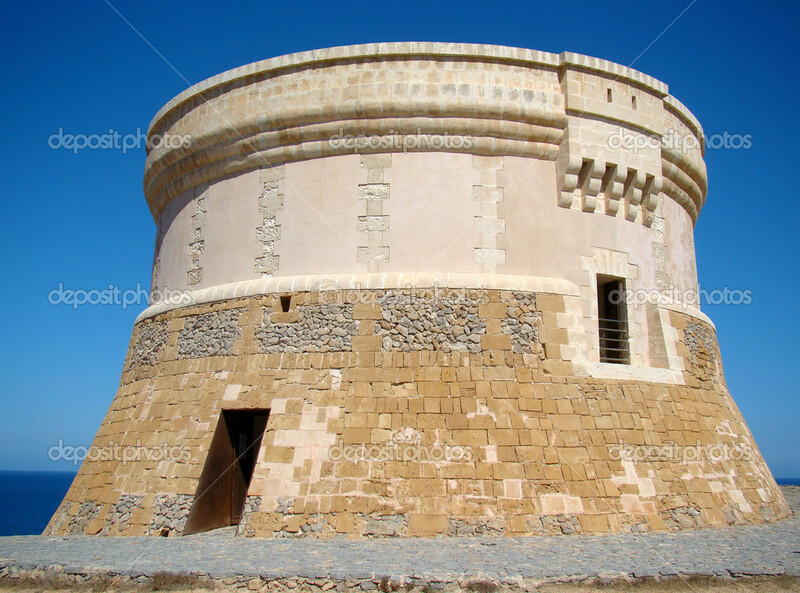 The Martello Tower at Cala Sant Esteban (St Stephens Cove) is also named Stuart Tower after General Stuart. 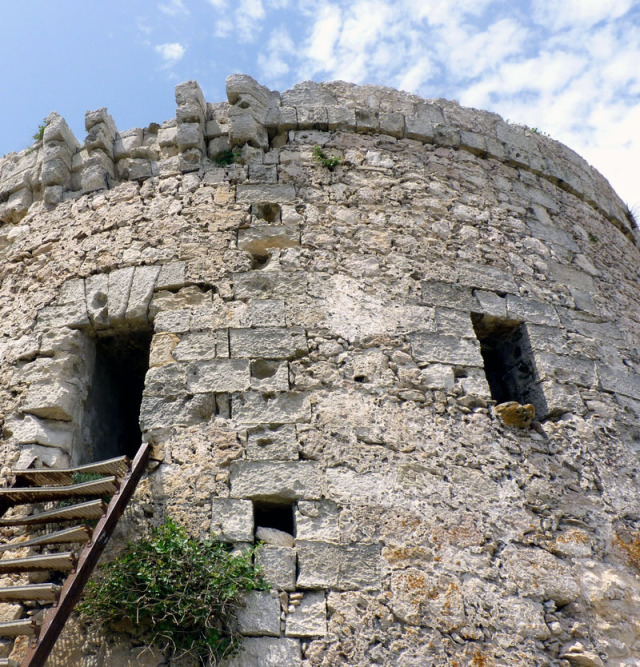 It is known by the locals as Torre den Penjat, as apparently, during Spanish times later it was the site of the gallows. Next month part 2, will continue with the years 1799 to 1802, Governor Erskine, and through to the end in 1802 when Britain signed the Treaty of Amiens.